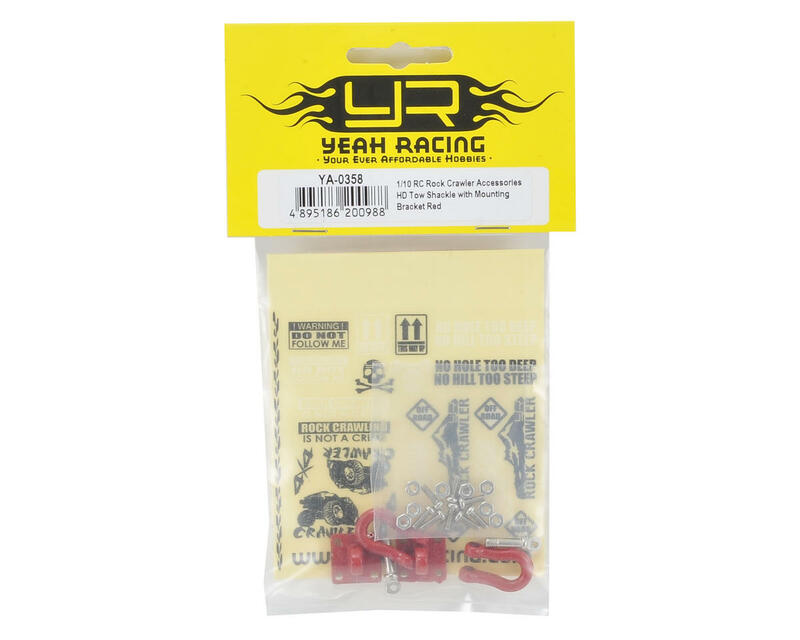 This is a pack of two Yeah Racing 1/10 Scale Heavy Duty Crawler Shackles, with included Mounting Brackets and hardware. 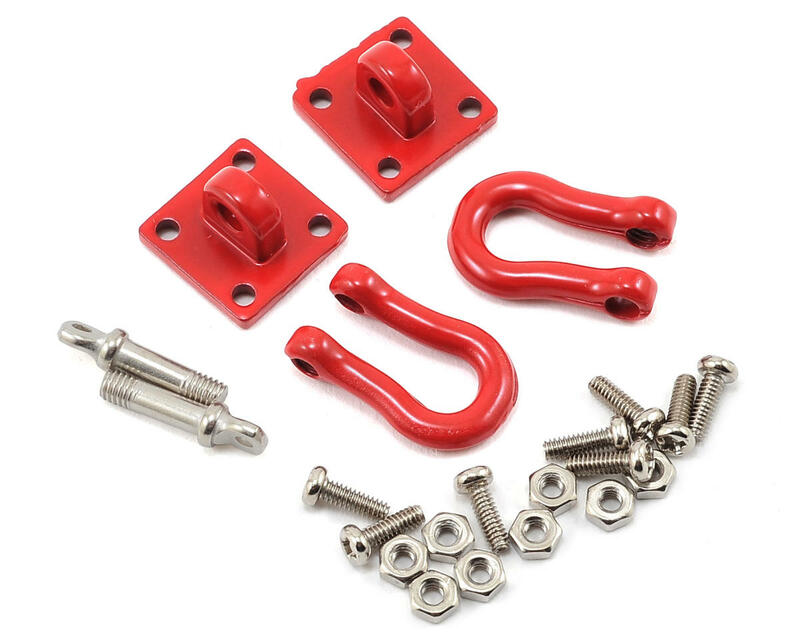 These scale shackles securely connect to the bracket base with a scale shoulder screw, allowing the shackle free movement when connected. The mounting base connects to your bumper with four screws and nuts, all included (you may need to drill holes in your bumper). 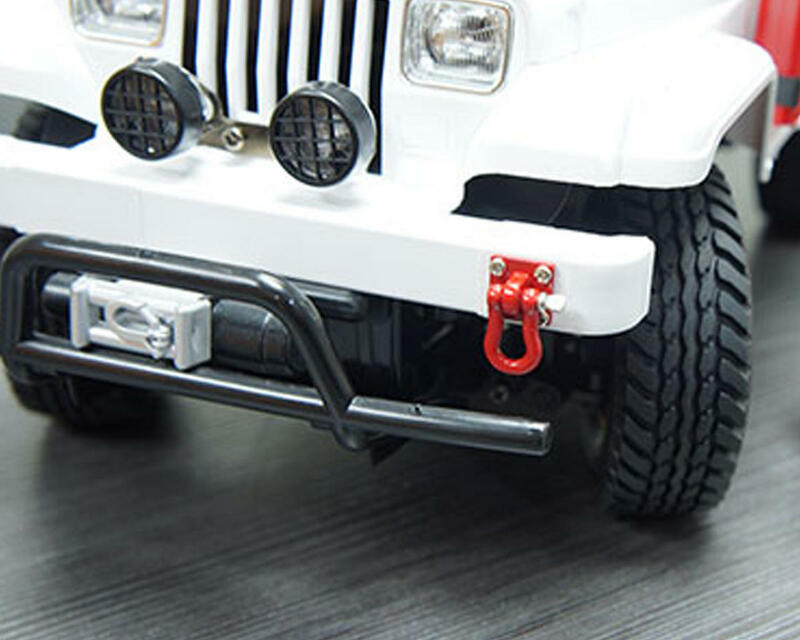 These shackles are made from heavy duty steel and painted with a red finish for ultimate scale detail. Once installed, these shackles are a great mount to connect hooked rope, hooked chain, or any other type of cable that is useful for the long trail ahead. This shackle and mount set is also available in black (YEA-YA-0378).